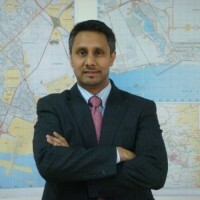 Aasif Variava is a professional civil engineer with vast experience in multinational companies for over 20 years. Aasif’s expertise includes, but is not limited to, highway design, infrastructure traffic engineering, and transportation. He is very passionate about his profession and his key accomplishments include successful delivery of major civil engineering projects (some landmark projects) for private and public clients, management of multinational teams across continents, managed operations, and P&L for many business groups. Aasif credits his success to his ability to network and his relationships. His future goal is to become Managing Director, followed by Chief Executive Officer, of a major multinational organization. He is fluent in English, Hindi and Arabic, and enjoys reading, sports, and politics.